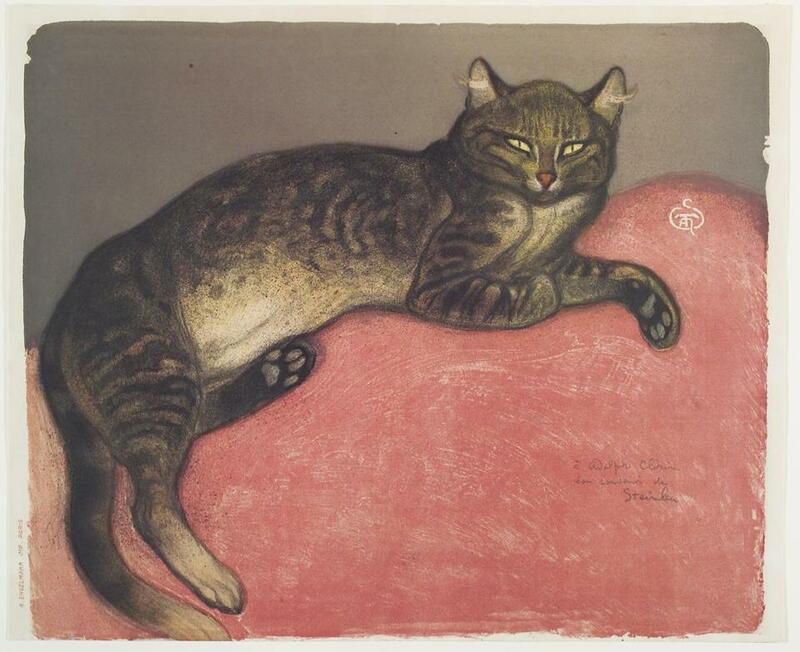 "The Cat in Winter, 1909," a lithograph on cream wove paper by Theophile Alexandre Steinlen. Of all things, a statue of a dog wearing armor was the inspiration for the Worcester Art Museum’s upcoming cat-themed exhibit. The statue, named “Helmutt,” which came to the museum a few years ago by way of the Higgins Armory Museum, and was later adopted as a mascot, opened up conversations about how the staff could look at its collections in a new light, said Adam Rozan, the institution’s director of audience engagement. 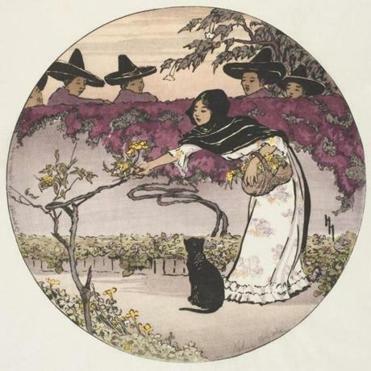 "A Mexican Coquette, 1912," a woodcut on cream Japan paper by Helen Hyde. The project, according to museum officials, will run through Sept. 4, and include interactive public programs, as well as special exhibits and installations. In one part of the museum, cats will roam around, ready for petting. “It’s going to be taking over our exhibition spaces,” Rozan said. Cats are a dominating force on the Web in the form of videos and memes. But their popularity transcends the digital age. The museum plans to show that by featuring them in sculptures, paintings, prints, and contemporary fashion, organizers said. The project will include “The Captivating Cat: Felines and the Artist’s Gaze,” an art exhibit that will highlight more than 70 works from the museum’s permanent collection. “This exhibition breaks from traditional feline-centric scholarship by looking at cats not simply as subjects that artists depicted in diverse media across time and place, but rather as iconic muses with their own, distinctly animalistic agency,” said guest curator Ruth Dibble in a statement. 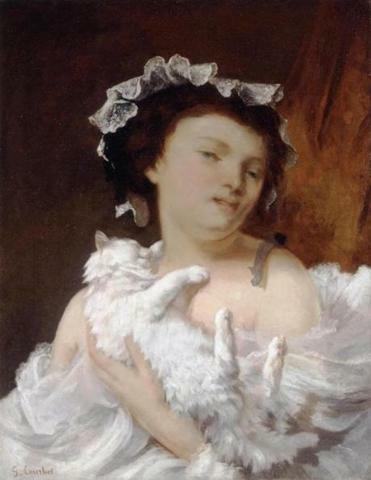 “Woman with a Cat, 1864,” by Gustave Courbet. Bringing life to the event, the museum will showcase a “Cats-In-Residence Program,” beginning in July. Through a partnership between artist Rhonda Lieberman and the Worcester Animal Rescue League, up to nine cats will roam around an art-filled lounge at the museum. Visitors can interact with the cats in their “contemporary art installation space,” and, if they feel so inclined, adopt them. There will also be a “Cat Walk,” where visitors can wander through the museum and find cats depicted in artwork. The museum will get the public involved with a “Community Cat Show,” which will invite visitors to submit their own cat-related art for an exhibit that will run from May through July. Despite all the feline frenzy, the museum won’t abandon its muse. “We gave [Helmutt] a little gesture in which he will have his own ‘antishow,’ ” a one-painting exhibit of “Head of a Dog” by Abbott Handerson Thayer, Rozan said. That one’s for the dog lovers, the museum said.